This badge was issued to Howard Whitaker on 09 Feb 2018. 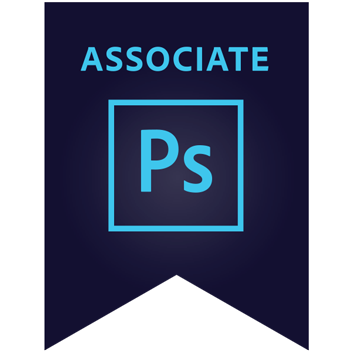 The Adobe Certified Associate (ACA) certification is the industry-recognized validation of one’s skill in Adobe Photoshop CC. This certification requires in-depth knowledge of setting project requirements, understanding the Adobe Photoshop CC interface, as well as creating and publishing digital images using Adobe Photoshop CC.